There are two events that have allowed me to conceptualise my Ghetto Biennale project. 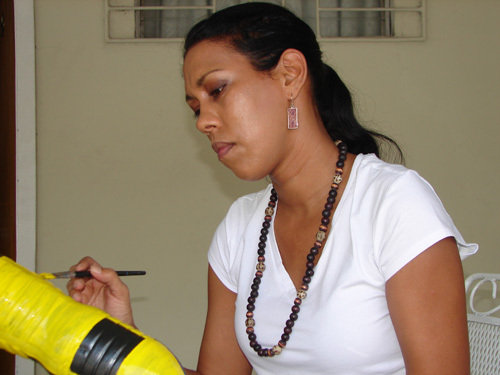 The first one occurred in Port-au-Prince and the other at home in Trinidad. During the first anniversary of the 2010 earthquake in Haiti, I was standing near to the tents by the Presidential Palace. As I was waiting for a motor-taxi, a boy of maybe 7-years trotted by, pulling along a toy car led by a string. 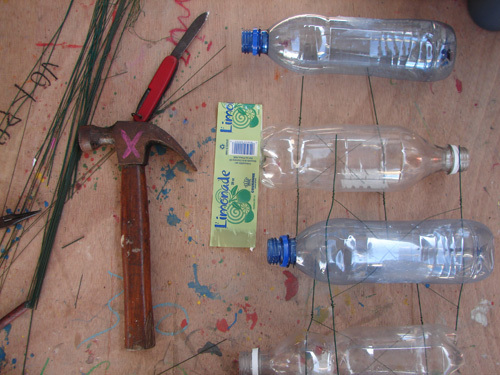 The body of the car was made from a plastic water bottle. 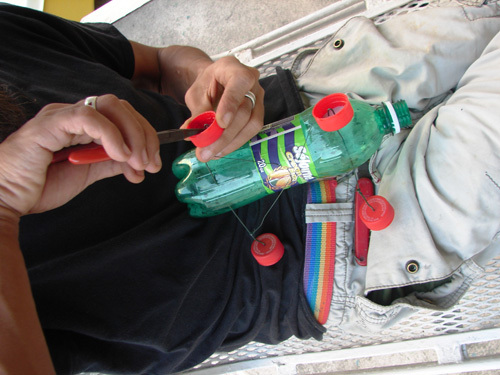 The axle was made from two wooden skewers, which punctured the bottle on either end. 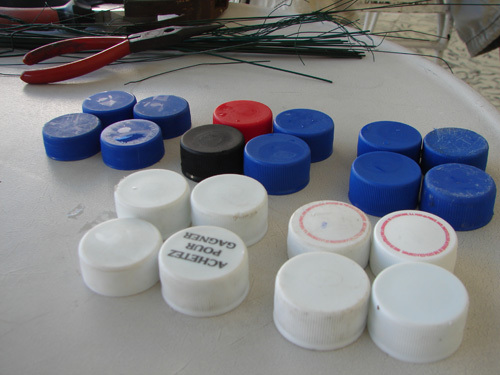 The wheels were bottle-caps, with rubber-bands securing its wheel knots. The other event occurred on my return to Trinidad. My brother who is 31 years old will be getting married in August of this year. His two best friends are recently married and both are expecting babies. 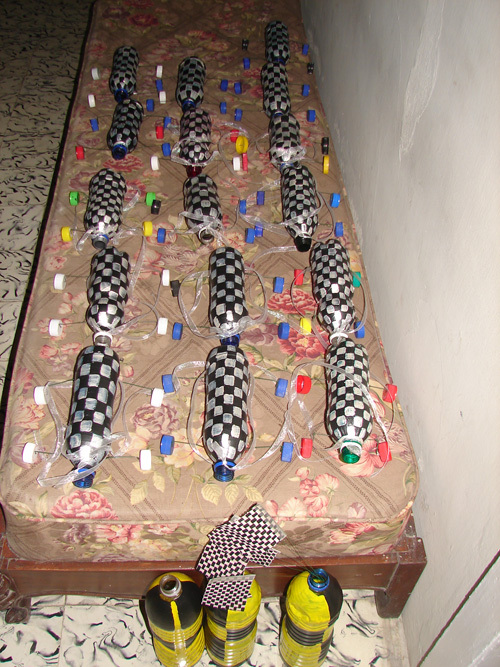 Recently, all three young men have each invested in US$1000.00 remote-controlled toy cars. On afternoons after work they go to my parent's front yard to 'race cars'. With these two events juxtaposed in my mind, it has become the point of departure for my biennale project. The Gran Rue Grand Prix - sculpture and performance. 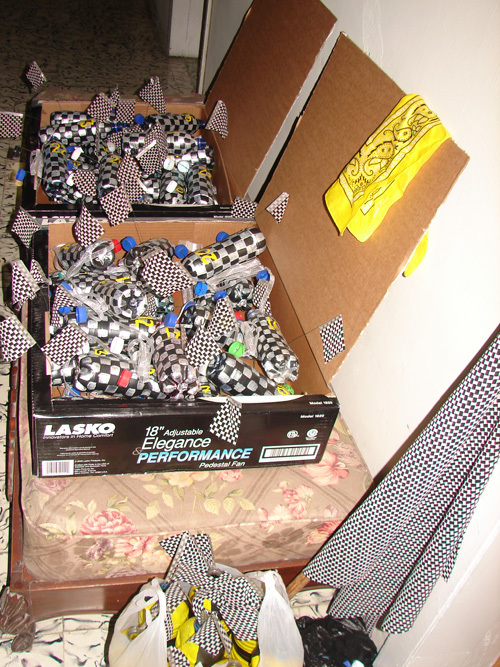 I was able to create 40 recycled water-bottle cars and used the black and white chequered-flag as the surface design motif. From here we were able to conduct a series of semi-final races with children in the Gran Rue community. 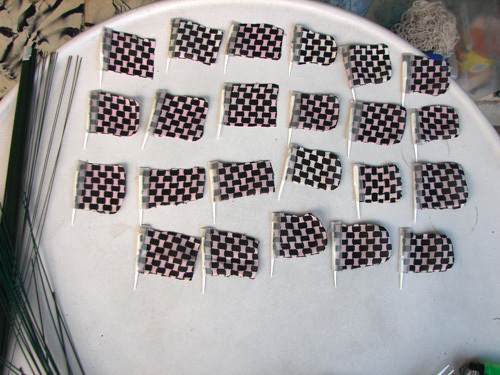 The excitement grew with each race and the final races were truly memorable, as the crowd that gathered begun to chant the name of their favourite car racer. I quite enjoyed working on-location for this project and the site-specific nature of the final performance. This was an interesting contrast to my studio-based art practice in Trinidad and exhibiting in a commercial art gallery. I did not need to teach or show this community how to recycle, as they have always done it. However, I was pleased to hear that my toy-cars were still being strung-along by children up to two weeks after the Biennale ended. While this 11-day experience was both educational and fun for me, I am reminded of two things: Firstly the problem concerning the vast quantity of plastic bottles in the environment. This is a global problem, and in Haiti it is very visible, while in the 'first'-world it is well hidden. Secondly, this Friday morning race reminded me of the vast amount of children who are not in school in the Ghetto. 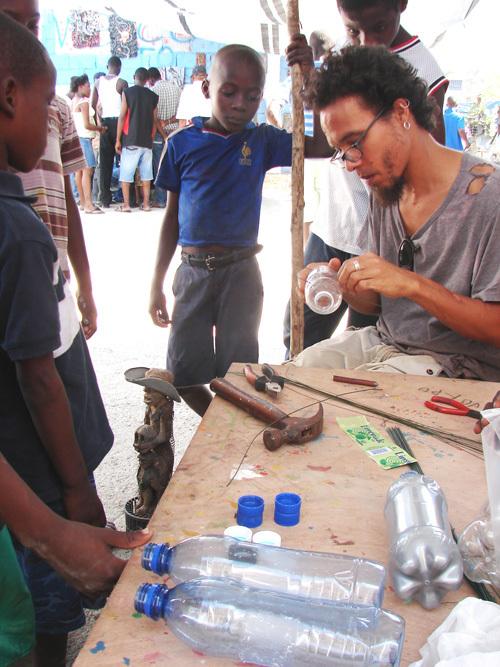 The Ghetto Biennale of course is an adult event, to which I deliberately sought to connect with the many children who also live within the Gran rue space. This makes me question what impact or affect do we have on these children as we converge upon their space.